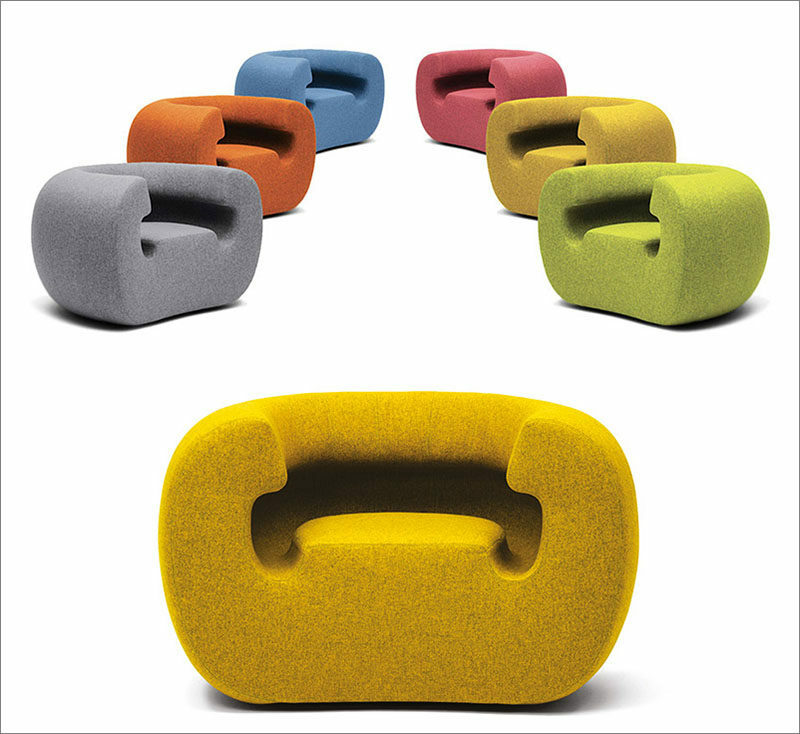 Designer Michael Young has created a sculptural armchair named Roxanne for Italian furniture manufacturer Gufram. Inspired by disco decor and Michael Young’s passion for The Police in the 70’s, Roxanne combines ergonomics with technology to create a sculptural armchair. The the shape of the chair is made from an extruded polyurethane form, which is then upholstered in fabric, allowing for an infinite number of color and pattern variations.